Along those lines, I was considering the contrasting writing styles of Hemingway and Faulkner. Both titans of American literature, they have vastly different approaches to their craft. Whereas Faulkner displays a mastery of the English language, utilizing seemingly unending complex sentences, Hemingway at first reading appears almost simplistic. Yet it is the ability of the writer to transfer the reader into the work that is manifest in the great authors, and while many are able to accomplish this with various styles, Hemingway makes every word count. His words are heavy with intent and purpose. 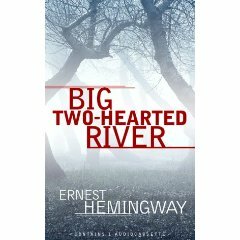 This is so clearly evident in the short story Big Two-Hearted River, written in two parts, as the main character Nick Adams describes the camp which he has constructed along the river that will serve as his base fishing camp after returning from the war, solidifying his grip on reality. "He had not been unhappy all day. This was different though. Now things were done. There had been this to do. Now it was done. It had been a hard trip. He had been very tired. That was done. He had made his camp. He was settled. Nothing could touch him." Taken out of context, the writing appears almost childlike, but within the setting of the story, Nick is transported from the existential war zone to the real and solid world which is meaningful and provides him with a desperately needed sense of relatedness. 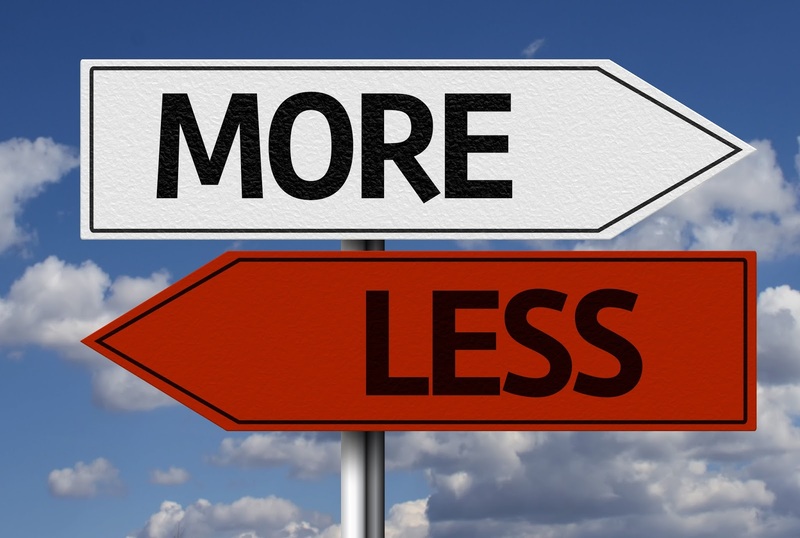 Hemingway is able to talk less and less about a lot more. Haling from Wisconsin, Death's Door Distillery embarked on a mission to produce fine crafted spirits utilizing locally sourced ingredients. My first sampling of Death's Door Gin was at one of my favorite local eateries, Wicked restaurant. The barkeep mixed me up a classic Martini utilizing the Gin from the aforementioned distillery and I was instantly hooked. 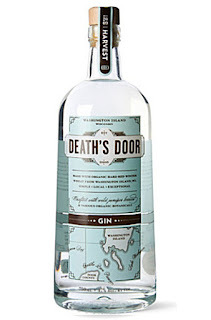 According to the company,- "Death’s Door takes its name of the body of water between Door County peninsula and Washington Island from which we get hard red winter wheat to make our vodka, gin and white whisky. Potowatami and Winnebego tribesmen originally named the waterway, while the French called it Port de Morts when trading in the area to ward off other traders." 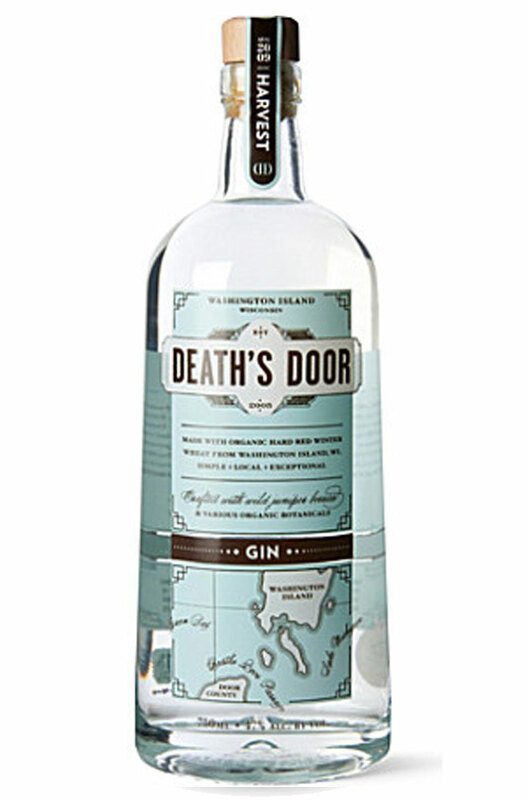 In stark contrast to the recent trend of utilizing sundry number of botanicals, Death's Door only sees the need for 3 herbs; Juniper, Coriander, and Fennel. The paltry number of ingredients belies the complexity of flavor produced. The Juniper imparts a classic London Dry forward flavor, but somewhat more subtle. The Coriander lends it's citrus, peppy undertones, and the final finish with anise flavor imparted by the fennel completes the composition. The flavor balance is remarkable given the limited palette which the distillers adopted. Sometimes less really is more. With that philosophy in mind, I crafted a Martini with Death's Door Gin and absolutely no Vermouth!